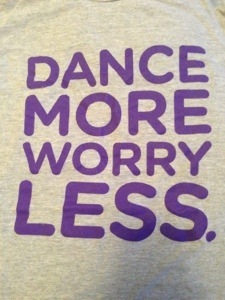 Our New Year’s resolution: Dance more, worry less! Join us for TWO dance parties in January! I don’t know about all of you, but I kind of hate New Year’s resolutions. Not only am I not very good at keeping them, but I’ve always found it all a bit too cookie-cutter for me. I’ll make changes in my life when I’m good and ready to make them, and I don’t need the calendar to tell me when to do so. Ask us questions if you got some! Song requests welcome. And volunteer DJs for future sessions are welcome too! Email us at ddpptoronto [at] gmail [dot] com if you have a song request or are interested in putting together a playlist. It’s tons-o-fun and people tell you afterward how great your taste in music is. Rewarding! See you all SOON! « Happy holidays! Here’s our present to you: our holiday party playlist!